My partner and I got engaged in 2015 with the big day set for 2017. We decided we wanted to have all the details locked in early to avoid any stresses closer to the date. Being the first one in my friendship group to tie the knot, it seems almost instantly I took to Instagram, Pinterest, blogs, Facebook etc. for advice on the likely cost and how to budget and plan for a wedding. To be honest the information I came across was more than underwhelming as the focus tended to be on providing visual inspiration, blank budget checklists, 12 months beauty checklist (who knew it takes 12 months to prepare for not even 24 hours!?) and so much more trivial information. It became apparent that if the answers to these questions weren’t readily available to me, there’d be plenty of people out there without answers as well. Fortunately for my situation, I was able to rely on my experience as a financial planner to build a budget and enforce a savings program to ensure we hit our financial goals when planning my dream wedding. It’s because of this, I’m wanting to share my experience with the couples who like me, were not 100% sure where or how to start, in the hopes that these tips may help you get financially organised for one of the most thrilling yet, chaotic times of your life. When we get engaged, we all start building a mental vision of our day. It is in this initial period where we are so susceptible to making poor financial decisions. Getting caught up in the wedding whirlwind at one point or another is, I feel, unfortunately unavoidable. However, if we can remember to take a step back, we will soon see that having a 10-metre high tree or a 5 tier cake is not actually an essential item. Expenses like this probably won’t make your wedding day but they’ll probably break your wedding budget. That being said, everyone has their must have items. For my partner and I, it was a lavish honeymoon. We decided early on that this was a non-negotiable item and that we would need to spend more time saving to meet the expense (hence the 2-year engagement). My advice here is to iron out your non-negotiable items whether it be a venue, a photographer/videographer, a dress or like me, your honeymoon. These items will inevitably dictate your budget and maybe even your timeline. If only someone would have told me this at the beginning! Family support will vary greatly and nowadays, there is no uniform approach, as many traditions of the past are now outdated. That being said, some families will certainly take pride in contributing to your big day. Your first essential job here is to have an uncomfortable conversation and see if there are any strings attached. Even if there is no money on the table, I would advise having this conversation upfront in case there are some hidden agendas that you are currently, blissfully unaware of. You may find that your family (bless them) have an expectation on your guest list or even, venue and if they do, you need to decide whether accepting their financial assistance will jeopardise your vision of your day. Your second essential job is to continue the uncomfortable conversation and iron out any soft offers for cash. Vague phrases such as “we will definitely help you as much as we can” and “let me know how much you need” are not workable when considering a budget. Be prepared to ask for clarification but do so in a considered sense so as not to make a prickly situation worse. Asking your loved ones for a final figure will not only help you budget but will also provide them with a set figure; allowing them to plan for a future expense early on. Lastly, be discrete when talking to two families about how they would like to contribute. More often than not, one family may be slightly more financially stable and have a higher ability to help than the other. Be respectful of each other’s privacy and also, show your gratitude equally. Your guest list is a key determinate when building a wedding budget. Alike tip 1, build a guest list in priority order with your ‘must haves’ at the beginning. This will help you see just how many people you are looking at and may even dictate your ceremony and reception venues. Similarly to tip 2, if your parents have non-negotiable guests you need to remember to account for these even if they don’t come under your ‘must haves’. You will find that the numbers build up quite quickly and with every head costing say, $100-$300 (depending on your type of wedding) you can see why this list needs to be well thought-through. 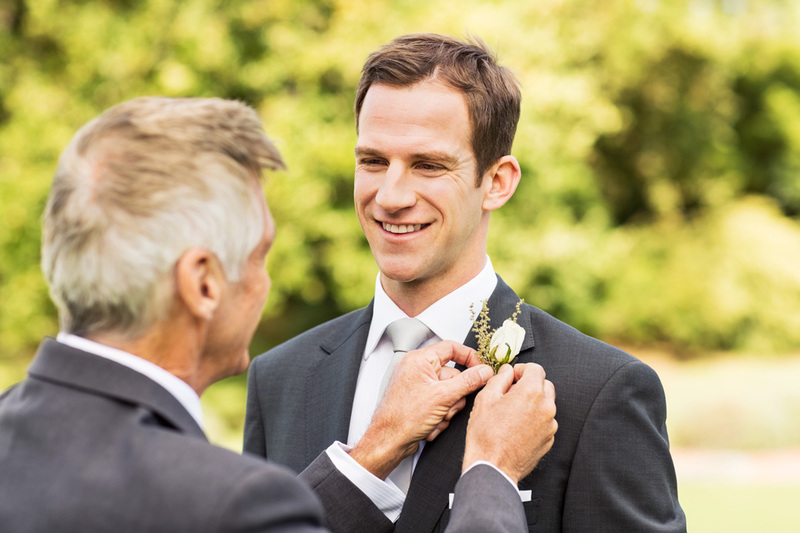 Lastly, come to an agreement with plus ones and children with your partner and remember to communicate this upfront with your loved ones or anyone who may be significantly impacted by your decision – this will avoid any unwelcome surprises for your guests. Now that you have completed tips 1-3, you are ready to set your final budget. Spend some time researching the likely costs of your big-ticket items, such as your venue & its cost per head, your dress, your photographer/videographer (these can be very expensive) and be aware that geographical location, time of the year and the day (Saturday/Sunday or public holidays) will also impact your bottom line. Note: If you have never used Excel, it is time now to get on board! Use this program to map out everything from budgeted costs vs. actual, vendor name & contact, paid a deposit & outstanding payments, list due dates for payments, build your guest list and record contact details, RSVP and dietary requirements. 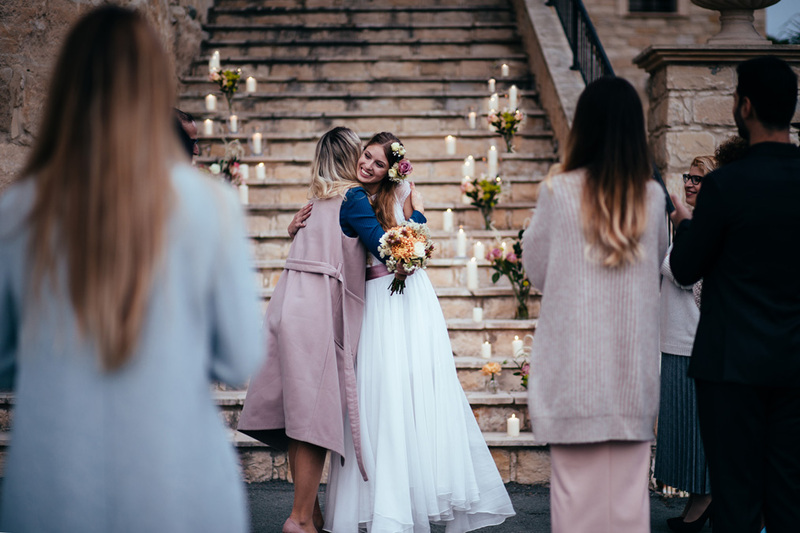 When researching you will see that there are many conflicting reports about how much a wedding will cost in total – this is simply because it is completely dependent on what type of wedding you looking for and how much financial aid you are receiving. Don’t waste time trying to figure out what is ‘normal’ but instead spend time with your partner and decide if you are both comfortable with the end figure. Remember to bear in mind your combined future financial goals when assessing your final cost as having a larger scale wedding may postpone your ability to buy your first home or otherwise. This is fine, so long as you are both on board. Remember to also leave room for miscellaneous expenses – there are some ridiculous costs that you will no doubt encounter and that you can not avoid. Who knew alterations and dry cleaning cost hundreds of dollars! Some of the expenses you might not think of can include travel costs for the photographer/videographer (on top of what you’re already paying them) or even small things like a venue charging you to cut and serve the cake. Really? I need to pay extra for you to cut and serve the cake? Unfortunately, these expenses are all part and parcel of your special day. Once you’ve built your wedding budget, it’s now time to determine its feasibility. You will need to calculate your weekly savings capacity – you may already know this or you may need to build a personal budget. Your current savings plus your family financial assistance plus your projected ongoing savings capacity will provide you with a savings target. Should this target meet your required wedding budget you will be ready to start booking items in. Should it not, you may need to consider revising your budget or moving your big day further away so you have a bit more time to save. 5. Avoid Credit Cards/Personal Loans etc. Too often in my work, I see young couples wanting to move forward in their financial futures (buying a first home or otherwise), being hindered by their accumulated credit card debt or personal loans. Do not fall into this common trap and spend beyond your means. If you follow tips 1-4 you should avoid this issue entirely and can, therefore, enjoy being newlyweds without the financial stress. If you absolutely must take out a loan to pay for some unforeseen wedding or honeymoon expenses, be sure to research the best credit option (i.e. interest-free for 15 months) and make a plan to have the funds repaid ASAP. This is something that I would only recommend as a last resort as the last thing you want to have looming over you when you’re on your honeymoon is credit card debt. Open a high-interest savings account, move your current savings into the fund and redirect your ongoing savings capacity into here. The separation of these funds from your everyday spending will not only make it easy for you to track your savings progress but also make it difficult to use these funds for other non-wedding expenses. You need to bear in mind you will be intermittently taking funds out to lay down deposits and/or to make final payments. Be careful to read the terms and conditions of the product you choose as they may only be high interest if you are not withdrawing funds! This step, although simple, will encourage discipline in your cash flow. 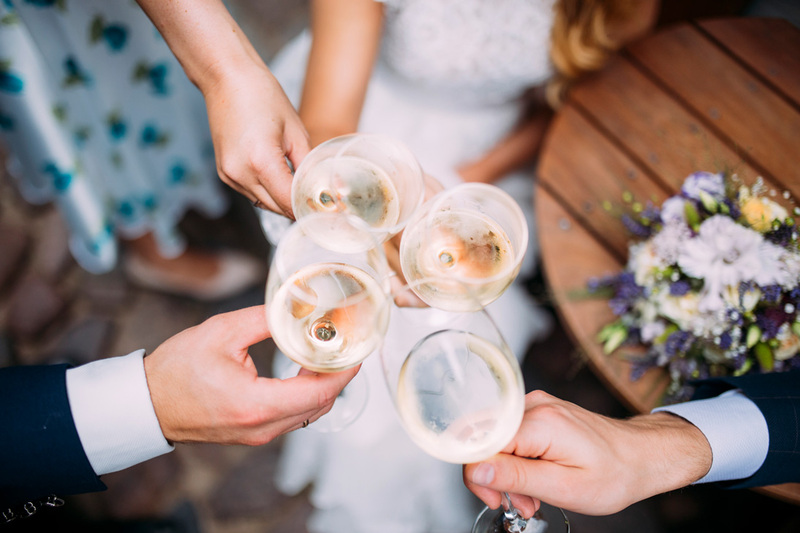 By making the wedding fund transfer a priority you will make sure that money is committed to the fund upfront and that the remainder is to be allocated to your other bills or discretional spending and not the other way around! Having a wishing well instead of registering for presents is a great idea from a financial perspective. Most couples are generally already living together and do not require the old fashion presents such us household goods, so why not ask for cash? Then direct these funds either toward your honeymoon, to a house deposit, reducing any credit or personal debt or whatever it is you and your partner are next looking to achieve financially. Another expense, I know! But a necessary one nonetheless. If you are anything like me, I’m betting your ring is priceless and the loss of it would only be made worse by having to scramble together another huge sum to replace it. Insuring my engagement ring was one of the first things I did in terms of wedding planning. Insuring your jewels can be surprisingly cost-effective and will provide you peace of mind that should anything happen, theft, loss or damage, you are covered (at least financially). If you are under the assumption that your rings are already covered in your home and contents insurance, just be sure to read the fine print of your policy. Some companies will impose limits on the amount of jewellery they will cover and some won’t cover it at all! Keeping discipline for both you and your partner can be one of the most challenging aspects of budgeting for your wedding. By creating little milestones (and importantly celebrating them) throughout the process it can help maintain the discipline you need to reach your goal. Lastly, you have already gone through the hard yards and there is no doubt once everything is said and done, you will want to loosen the purse strings a little bit. But why throw all of your hard work away completely? You’ve created a discipline over many, many months and stuck to a budget and have, therefore, accumulated a lot of savings. This habit you’ve already now developed could be the best financial move of your life. If you can maintain this discipline there is no doubt that you will be (financially) miles ahead of your peers within just a few years – so imagine what you could achieve over a lifetime! If you are looking for guidance on what to do with accumulating wealth, be sure to meet with a financial adviser to see what value they can add to your situation. There you have it! 10 tips that will help you plan a wedding that is not only beautiful and everything you hoped for but also, within your limits and manageable. *Bonus Tip* – Enjoy yourself! Your wedding day is a celebration of your love, remember to take time out during the day to spend some time alone with your partner – take a breath and take it all in, as the moment you’ve planned for months and months, won’t last as long as you would like it to!